Having dedicated their practice to representing employees who have been retaliated against for complaining about discrimination in the workplace, our Citrus County, Florida wrongful discharge attorneys have learned that employers often use performance improvement plans and negative performance evaluations as weapons to punish employees who complain about discrimination. When doing so, employers will then use the performance improvement plan or negative performance evaluation to justify the employee’s eventual termination. The decision by the U.S. District Court for New Jersey in Ciecka v. The Cooper Health System, No. 15-4075 (D. N.J. Feb. 14, 2017) illustrates that a suspicious or undeserved performance improvement plan can be evidence of an employer’s desire to retaliate against and eventually fire an employee for complaining about discrimination. In that case, Michael Ciecka (Ciecka) brought a retaliation lawsuit against his former employer, The Cooper Health System (Cooper Health), pursuant to Title VII of the Civil Rights Act of 1964 (Title VII). Ciecka claimed that Cooper Health violated Title VII by firing him in retaliation for having complained about age discrimination. Ciecka was employed as a radiology technologist by Cooper Health. Ciecka was fifty-two years old when he was fired on December 11, 2014. 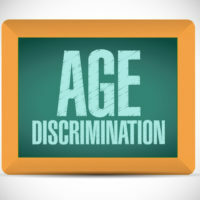 The crux of Ciecka’s case was that the circumstances of his employment changed drastically after he complained about age discrimination in June 2014. That month, Ciecka told Human Resources that his immediate supervisor, a man named LeBender, made references to his age. Ciecka also reported that he believed he was in LeBender’s “cross-hairs’ and his job was “in jeopardy. When interviewed by Human Resources about Ciecka’s age discrimination complaint, LeBender admitted to commenting on Ciecka’s age. In his two most recent performance evaluations before he complained about age discrimination, Ciecka’s performance was rated “exceed expectations” in both 2013 and 2014. Despite his positive performance evaluations, Ciecka was put on a performance improvement plan a few weeks after he complained about age discrimination. Ciecka claimed that the performance improvement plan included “unrealistic goals” and imposed higher performance expectations on him that on other technologists. For these reasons, Ciecka believed that he was “set up to fail” because of his discrimination complaint. On December 11, 2014, Ciecka was fired for failing to improve his performance while under the performance improvement plan. Cooper Health filed a motion with the trial court seeking dismissal of Ciecka’s retaliation claim. In doing so, Cooper Health argued that Ciecka’s termination was justified because his performance did not improve as required under the performance improvement plan. Because his performance did not improve, Cooper Health maintained, Ciecka could not establish that he was fired in retaliation for complaining about age discrimination. The trial court denied Cooper Health’s motion for dismissal and ruled that Ciecka had presented sufficient evidence of retaliation to proceed to a jury trial. Based in Ocala, Florida and representing employees throughout Central Florida, we have substantial experience representing retaliation victims. If you have been retaliated against for complaining about discrimination in the workplace or have questions about being subjected to a performance improvement plan after complaining about discrimination in the workplace, please contact our office for a free consultation with our Citrus County, Florida retaliation attorneys. Our employment and labor law attorneys take retaliation cases on a contingency fee basis. This means that there are no attorney’s fees incurred unless there is a recovery and our attorney’s fees come solely from the monetary award that you recover.